The following six DIY tests can offer helpful insights on several areas of health. While these protocols certainly shouldn’t be looked at as substitutes for a proper medical diagnosis, they are valuable self-assessment tools that you (and your family) can use to get a gauge on your health. Keep in mind that each of the following tests addresses a different area of bodily health, covering many of the most common illnesses that people today face. And since all of them are simple, non-invasive, and essentially free (or very reasonably priced), there’s really no reason why you and your loved ones shouldn’t consider taking them – if for no other reason than to get to know your body better. Every time you eat, your body begins the digestive process in your mouth with your saliva, which contains special proteins and enzymes that are uniquely suited to break down different types of food. But everyone’s saliva composition is different, as some people’s bodies prefer more of one type of food versus another – which is where the 30-Second Cracker Test comes in handy. Grab a timer, a pen, and some paper. Take one unsalted saltine cracker (or a small piece of raw peeled potato if you’re gluten intolerant), break it in half, put it in your mouth and start chewing, starting the timer as you begin. Keep chewing without swallowing until you notice a change in the taste of the cracker or potato, or until you reach 30 seconds. Do this three separate times and take an average of the results to see which Carbohydrate Consumption Category you fall into: Full, Moderate, or Restricted. -If your average is between 0 and 14 seconds when you notice a taste change, you’re in the Full category, meaning your optimal diet (according to Dr. Moalem) is composed of about 50% carbohydrates, 20% protein, and 30% fat. -If your average is between 15 and 30 seconds, you’re in the Moderate category, meaning your optimal diet is composed of 35% carbohydrates, 30% protein, and 35% fat. -If your average is more than 30 seconds, then you fall in the Restricted category, meaning your optimal diet should contain only about 25% carbohydrates, 35% protein, and 40% fat . Once you’ve identified your saliva type, the next thing you’ll want to look at is your stomach acid. This is where the pre-digested food from your mouth gets broken down even further before entering your intestines – that is, if your stomach acid levels are healthy and normal. Many people these days are lacking in stomach acid, which can lead to poor digestion, constipation, malnutrition, and even acid reflux – something that many people mistakenly think means that they have too much stomach acid. 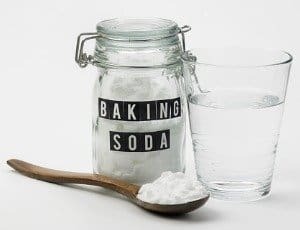 A simple way to test your stomach acid levels at home is by consuming a 4-6 ounce glass of water mixed with 1/4 teaspoon of baking soda first thing in the morning on an empty stomach. Like with the 30-Second Cracker Test, it’s a good idea to do this three mornings in a row and take an average for the most accurate results. Each time upon drinking the baking soda solution, time how long it takes for you to belch. If your stomach is producing adequate acid levels, you should belch within 2-3 minutes, excluding smaller burps resulting from any air you might have swallowed while drinking the beverage. If it takes you more than three minutes to belch, you could have low stomach acid . Cognitive decline is rapidly becoming a global pandemic, which is why it’s important to address any potential abnormalities as early as possible. One easy way to test your cognitive skills is by taking a Self-Administered Gerocognitive Exam, or SAGE, which takes no longer than about 10-15 minutes. The test is used to identify mild cognitive impairment (MCI) from any cause and early dementia. Simply download the test from the Ohio State University website (https://wexnermedical.osu.edu/brain-spine-neuro/memory-disorders/sage), print it out, take the test, and bring it to your next doctor visit to find out your results . There are instructions on the website to help physicians interpret the test results if they are unfamiliar with the test. Hormones are another critical component of bodily health, including those produced by your adrenal glands. Because stress, poor diet, and various other factors can severely deplete adrenal function, testing your adrenal output is never a bad idea. To get a sneak peak at your adrenal status before ordering a full-spectrum blood panel through a qualified health professional, you might consider taking a Pupillary Constriction Test. This DIY test involves measuring how the pupils in your eyes contract and dilate in response to sudden exposure to bright light. Simply sit in front of a mirror in a dimly-lit room for several minutes. Doing so should cause your pupils to dilate (get big). While watching in the mirror shine a weak flashlight or penlight at your face from about a 45-degree angle. Your pupils will naturally contract and decrease in size. The time they’re able to stay constricted can tell a lot about what’s known as your hypothalamic-pituitary-adrenal (HPA) axis, a crucial stress-management system controlled by your adrenals. If your pupils constrict and stay that way for 20 seconds or longer in response to the light, your HPA axis is likely functioning up to par. If your pupils fasciculate (twitch) for 5-20 seconds, this could be a sign of mild-to-moderate HPA axis dysfunction. If your pupils get small and then immediately dilate (get big again), then the situation could be even more severe, which means it’s probably best to consult with a qualified physician . Another important hormone-producing gland is the thyroid, for which as many as 27 million Americans have undiagnosed abnormalities. One quick way for you to test yours at home is with a Basal Body Temperature (BBT) test. All you need for this test is your armpit and a basal body thermometer which can be found at any pharmacy. Popularized by Dr. Broda Barnes, MD, a BBT test is simple: take your underarm temperature while in a resting state, keeping in mind that normal underarm body temperature is between 97.8F (36.6C) to 98.2F (36.8C). If yours is consistently under 97.4 degrees F, then chances are your thyroid is underactive. If your temperature is consistently over 99 degrees F (37.2C), then you may have an overactive thyroid . Most people are familiar with having their blood pressure checked by their doctor. Machines that test blood pressure are also often available to use for free testing at pharmacies and you may choose to invest in an upper arm blood pressure monitor for at-home use. The purpose of a blood pressure test is to see how well your heart and arteries are working to pump blood, oxygen, and other nutrients throughout your body. Systolic blood pressure (the first number) – indicates how much pressure your blood is exerting against your artery walls when the heart beats. Diastolic blood pressure (the second number) – indicates how much pressure your blood is exerting against your artery walls while the heart is resting between beats. You’ve likely heard that a “normal” blood pressure reading will be somewhere around 120/80 – the 120 representing the systolic number, and the 80 representing the diastolic number. However, what’s considered an “ideal” blood pressure is for the top number to be between 90 and 120 and the bottom number between 60 and 80 . It’s important not to panic over one “off” blood pressure reading. Wait a few minutes and take the test again. Taking a number of readings over time and tracking these in a notebook or smartphone app will give you and your doctor far more information about the state of your health than a single reading can. Blood pressure is an important indicator of health. If you’re consistently well-over 120/80, this could be a sign of hypertension and you should be checked by a physician. Extremely low blood pressure (below 90/60) isn’t a good thing either, and also needs to be checked out . Getting a handle on your blood pressure is critical. Research shows that after age 40, for every increase in blood pressure of 20 mmHg systolic or 10 mmHg diastolic there is a doubling of mortality from both Ischemic heart disease (IHD) and stroke. The good news is that a healthy diet and lifestyle can greatly improve blood pressure. Are you INSPIRED to take more control over your own health? Want to discover how your current diet and lifestyle is impacting your health? Take our simple 60-second online Health Quiz.